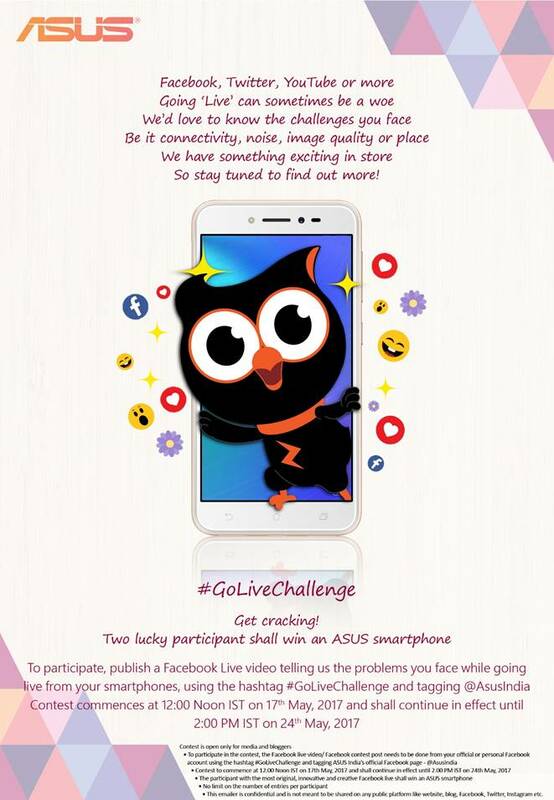 Asus has announced a Go Live Video on Facebook - Twitter - YouTube Challange Contest. Two winners will be chosen out of all the participants in this contest and will be awarded an absolutely free Asus Smartphone. All the participants have to do to take part in this contest is to upload a Live Video on Facebook through Smartphones and just to tell the problems and issues faced by them to do so, whether it is noise or image quality or light conditions or network connectivity issues. While uploading the live video it should be added a hashtag of #GoLiveChallange. This contest will start from tomorrow on 17th May, 2017 at 12noon according to the Indian Standard Time and will continue upto 2pm IST on 24th May, 2017.